Stephane Grenier knows firsthand the toll that mental health issues can take on individuals and families. 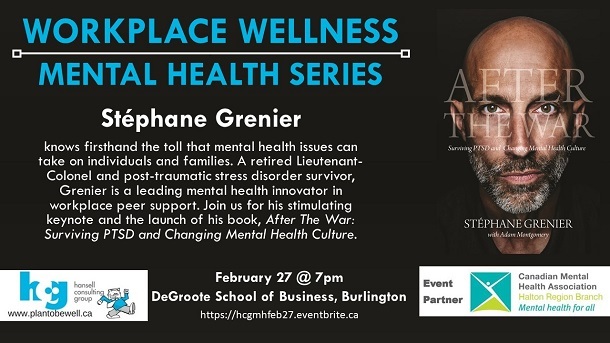 A retired Lieutenant-Colonel and post-traumatic stress disorder survivor, Grenier is a leading mental health innovator in workplace peer support. Join us for his stimulating keynote and the launch of his book, After The War: Surviving PTSD and Changing Mental Health Culture.